Public transport: SBB-train Berne-Visp or Geneva-Visp. In the Visp railway station change to the postbus to Saas Fee*. 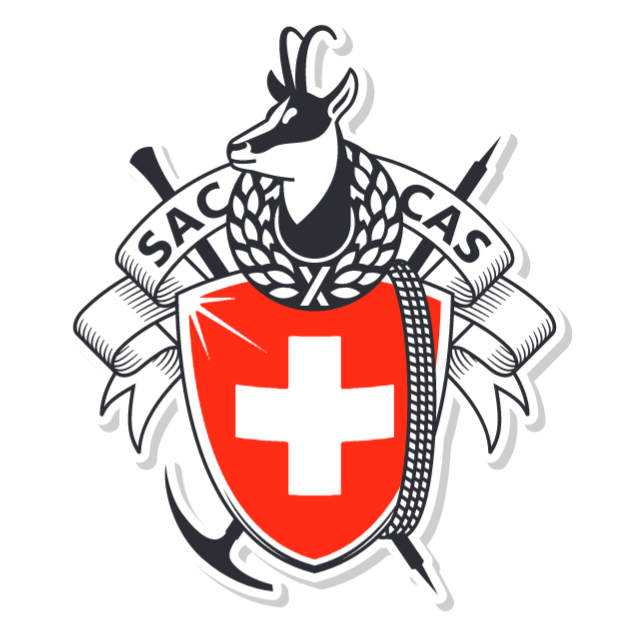 Get a ticket to Saas Grund „Sportbahnen“. Once in Saas Grund walk for 5 minutes to the cablecar „Hohsaas Bergbahn“. Purchase a return-ticket to „Kreuzboden“ (ca. CHF 20.-). From Kreuzboden (2400 m) you reach the hut within 45 minutes on an easy trail up (swiss grid coordinates: 641.660/110.400). On a clear day you can see the hut already when you start at Kreuzboden. *don’t take the express („direct“) postbus to Saas Fee since it does not stop at Saas Grund! Private car: Berne-Spiez-Kandersteg-Car-transport by train through the Lötschberg gallery to Goppenstein. Goppenstein-Visp-Stalden-Saas Grund. Public parking at the cablecar station „Hohsaas Bergbahnen“ (CHF 6 per day). Suite see above under „Public transport“. Rooms/Beds: 136 beds, 70 of them with down comforters. Insert sleeping bag is mandatory. Infrastructure: in-house toilets, lavatories and showers. Meals: Supper: soupe, vegetables, pasta oder potatoes, meat and a dessert. If you prefer a vegetatarian meal, please specify on the reservation form.